PCCN Practice Questions Bundle (2019) - 1350+ Review Questions!! The PCCN Practice Questions Bundle Is A Comprehensive Online Program That Includes - 1350+ Online Practice Questions & 30 CEU's - This Course Bundles (The PCCN Predictor Exam & PCCN Question Bank) For One Low Price - After Registration!! The PCCN Practice Questions Encompasses - Cardiac, Neuro, Pulmonary, GI/Renal, Endocrine, Hematology, Psych, Multisystem & The Most Recent (2019) PCCN Exam Updates!! The PCCN Practice Questions Bundle Is A Great Option For Those Nurses Who Would Like To Use Practice Questions As There Primary Method Of Study For The PCCN Exam!! The PCCN Practice Questions Bundle Reflects The Most Current (2019) PCCN Exam Updates & Will Include Over 1350 Online Practice Questions and 30 CEU's!! This Course Bundles The PCCN Predictor Exam and Question Bank For One Low Price After Registration - For Either 45, 60 or 90 Days!! For More Details About This Course - Click On The Exams Tabs!! Just as with the actual PCCN certification exam, you will have 2.5 hours in which to complete the 125-question Predictor Exam. We have chosen a mix of questions that reflects AACNs most recent blueprint for the PCCN exam. The PCCN Predictor Exam - Focuses On The Following Areas - Cardiac, Neurology, Pulmonary, ECG/Pacemakers, Pharmacology, GI, Renal, Endocrine, Hematology & Psychology!! You will have the opportunity to review and retake the exam as often as you would like within the allotted time frame. The PCCN Predictor Exam is included in the purchase of the PCCN Practice Questions Bundle!! The PCCN Question Bank consists of over 1250 Multiple Choice Practice Questions. 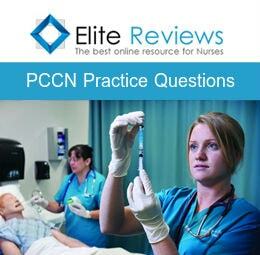 This Question Bank reflects the most current PCCN National Exam Updates. Each of the exams focuses on the main content outlined in the PCCN National Exam Blueprint. The PCCN Question Bank is included in the purchase of the PCCN Practice Questions Bundle! !